Our range of products include is - 331 floor marking spray, is - 311 spray paints and is - 40 anti rust lubricant. We are offering IS - 331 Floor Marking Spray to our client and our product is made of good quality. 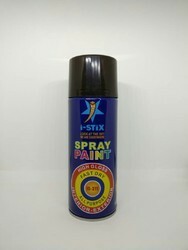 We offer IS - 311 Spray Paints used for painting. We are a trustyworthy organization offering a wide a gamut of IS - 40 Anti Rust Lubricant. Looking for “Spray Paints and Lubricants”?